The first thing we do when we welcome our guests is to take them into the garden and... Wow! All remain speechless! 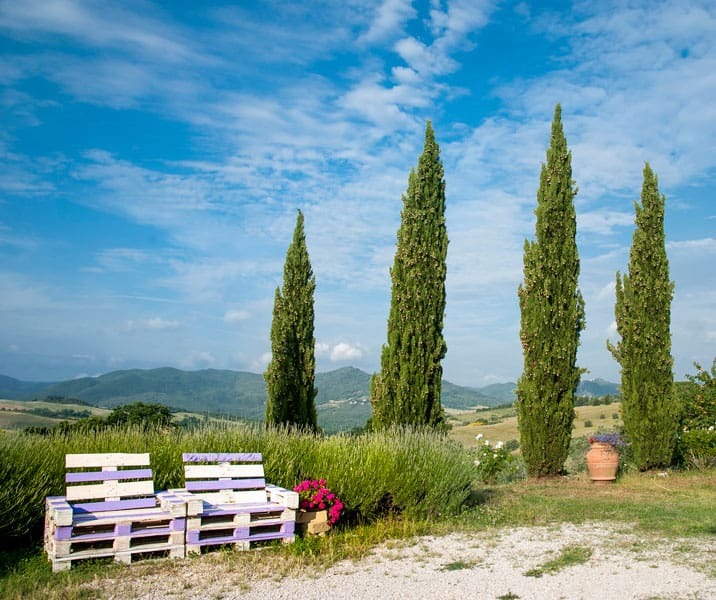 You will be immersed in the Tuscan hills, with a 180° view of the greenery of our countryside. Total relax. 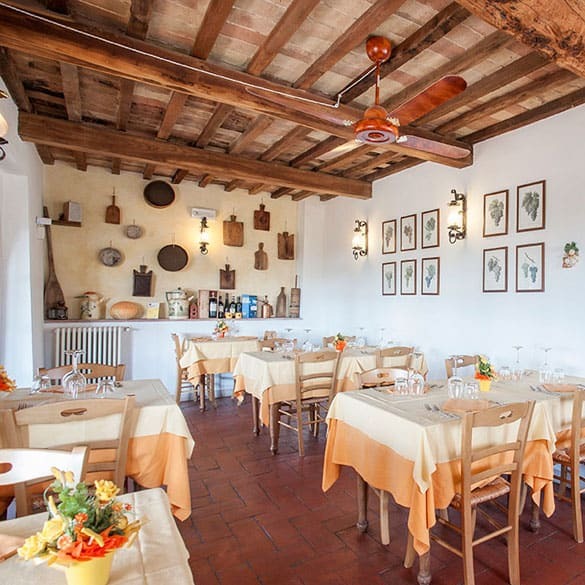 In our farmhouse in Pomarance, just 15 minutes from Volterra, we welcome our guests in two suites and five other beautiful double rooms with private bathroom and a single room, all carefully designed and furnished in perfect Tuscan style. 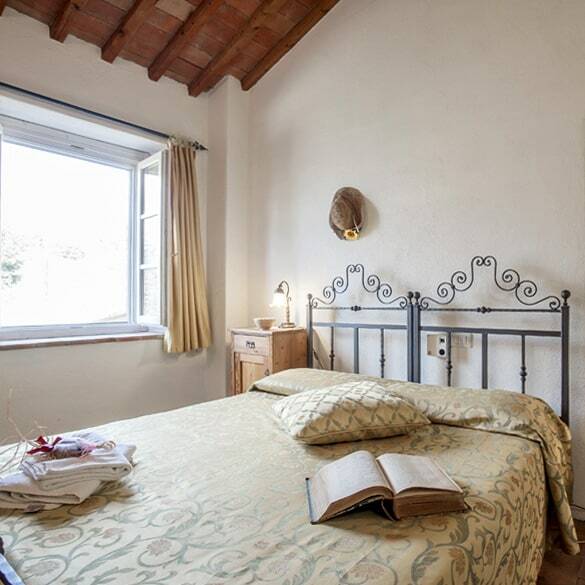 Two of the double rooms are on the ground floor and have independent entrance, to ensure greater privacy. 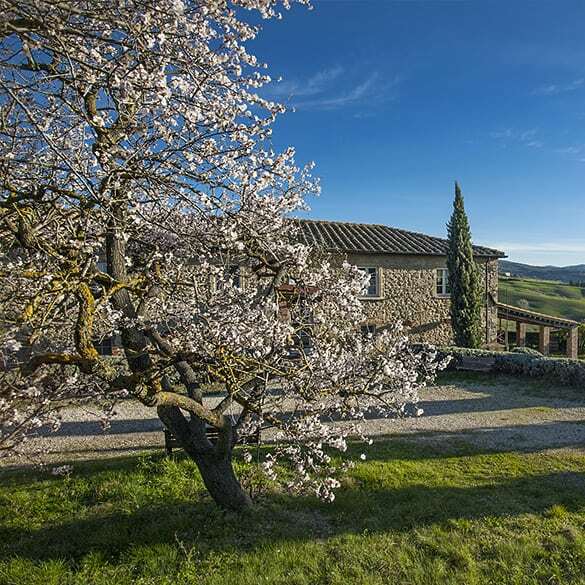 A farmhouse in the heart of Tuscany, full of outdoor activities.